Are you preparing to homeschool high school? 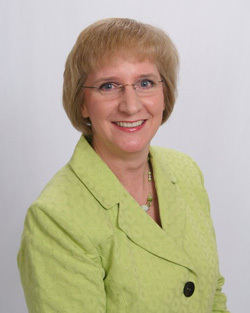 Lee Binz is a veteran homeschooler and publisher of the website The Home Scholar. In the following interview, she discusses the advantages of homeschooling high school and shares tips for getting started. I feel like I have homeschooled my whole life! My children are 19 and 21 right now, and both are college seniors. My children attended public school until 2nd and 4th grades. I homeschooled for 8 years, until the year they both graduated from high school. I loved it, but I was often stressed. We began for academic reasons, because the public school couldn't provide for the academic needs of my two children in the gifted education program. Once we started homeschooling, we saw so many other wonderful advantages! Why do many homeschoolers choose not to home school high school, and instead put their children in public or private school at the high school level? I think there are a few reasons. First, they are afraid of high school. Homeschool groups sometimes don't provide the support for high school parents the way they do parents with younger children. That's why I work to provide articles about homeschooling high school that all homeschool groups can use. Second, they don't think they can provide something that a school can provide. There are a lot of myths about how different high school is. I think parents don't realize that there are limitless opportunities for homeschool kids, and they aren't limited to what is offered at a school. And third, I think that parents feel insecure when kids start learning on their own. We work so many years trying to get our kids to become self-taught. For some reason when they achieve that goal, parents interpret that as a failure on their part. What are the advantages of choosing to homeschool high school? Too numerous to mention! Homeschooling is the best academic preparation, and you can provide every course your child needs along with a transcript, and a diploma. It is the best learning environment, because children are safe and secure. It provides true socialization, where teenagers learn to interact with every age group, not just their own. It also provides the best career preparation, because kids have the time and ability to investigate any area of interest they develop. When you homeschool high school, you can teach every subject at the student's level in every situation all the time, with complete flexibility. Are there any disadvantages to homeschooling high school? It's a vocation; a full time volunteer position. It's like being the parent of a toddler, sometimes, because you are constantly shaping and molding behavior and character. There is a sacrifice of your time involved. What are some challenges parents face when they homeschool high school? It can be challenging to learn what you need to know about high school. It's not that there aren't plenty of resources out there, it's just that parents don't have a lot of time to spend learning about it. That's why I provide video and audio based classes about high school in my Gold Care Club, because I know that some parents don't have time to read a book cover to cover. You have to learn how to provide subjects you don't understand. You need to make accurate high school records that represent your homeschool. What can parents do to overcome challenges they face when they homeschool high school? Invest in the things that challenge you! Invest in yourself, so that you have access to the books, audio and video courses that you need to be a successful homeschool parent. Invest in your areas of weakness, whether that is math or foreign language or art. That means your weak area is the first thing you spend money on each year, it's the first subject you do each day, and it's the one thing you won't let slide when your plans go south. How do children who homeschool high school obtain a diploma? Do they have to obtain a GED? Getting a diploma is very easy, just go to HomeschoolDiploma.com. It's a little harder to make a transcript, because it has to accurately represent your homeschool. I have written an e-book called, "The Easy Truth About Homeschool Transcripts" that walks parents through creating a transcript step by step. The real work is providing the education that your child needs. There are very few situations that require a GED. Across the nation, there are public and private high schools that are not accredited. A homeschool is not any different or any less official than those schools. What steps do children who homeschool high school have to take in order to attend college? Children need to take college preparation courses, covering the basics of English, math, social studies, science, foreign language, PE, and fine arts. Children also need to have some elective classes that they enjoy. Beyond the classes, colleges want to see some outside documentation of learning. Usually that means SAT or ACT scores, recommendation letters, or perhaps an occasional class outside the home. Can children who homeschool high school get college scholarships? Homeschooled children get scholarships every year. My two children each won a full-tuition scholarship to their first choice university, but we are not unique. I was reading about the National Merit Scholarship in the newspaper, and it was nice to see how many homeschooled kids I knew on the list! Yes, homeschoolers can get great college scholarships. How can parents who homeschool high school meet their children's social needs and need for independence? My son became the choir director at our church when he was 15 years old. He loved being involved with the older members of our church, and they loved talking with him. One 70 year old choir member said, "He talks to me the same way he talks to the other boys his age!" Children don't need socialization only with people their own age; they need to interact with a broad age range. That's why homeschool socialization is the best preparation for the real world, because their training is the real world. Homeschoolers can have meaningful jobs interacting with adults. Their independence comes by having these truly meaningful jobs doing real meaningful work. Can children who homeschool high school participate in activities like band and competitive sports at the high school level and beyond? Yes! One of the nice things about being a homeschool consultant is that I can now see a wide range of homeschoolers, instead of just my own experience. 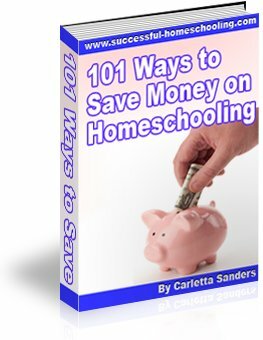 Homeschoolers are involved in all of these activities, sometimes with small groups or large organizations, and other times with public or private schools. Do you want more information about homeschooling through high school? Check out part 2 of my interview with Lee, Homeschooling High School, in which she shares advice for choosing curriculum and getting your child ready for college.